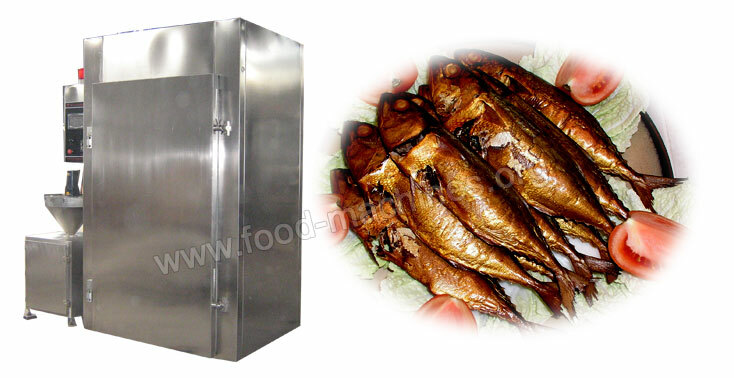 Smoke Oven is the one of necessary equipment in meat products curing process. It has the function of stewing, drying, humidifying, baking, air exhausting, washing, etc. Suitable for processing all kinds of meat products, such as, sausage, ham, pork, mutton, beef, poultry, aquatic product, etc. The oven mainly consists of smoke oven, automatic program controller, smoke generating device and smoke car. The key component is the curriculum systemcombined with steam pipe, heat exchanger and outlet channel, etc.